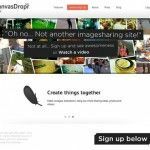 Picasa is an image organizer, editor and image viewer for organizing photos in albums and edit digital photos. 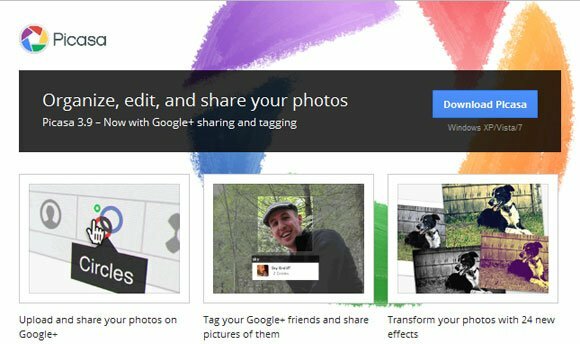 Plus, it has a website for sharing photos online that thanks to Google Plus now it gets free unlimited storage space and better tagging system. It was originally created by a company named Lifescape in 2002 and owned by Google since 2004. 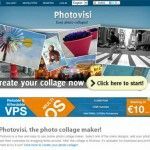 “Picasa” is a blend of the name of Spanish painter Pablo Picasso, and it is a freeware tool that everybody can use to edit and organize photo album online and offline. You can download native applications for Windows and Mac OS X from Google Labs. 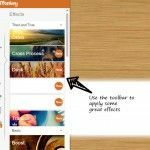 If you already use Picasa to organize your photos, you can also embed photos from Picasa in PowerPoint using different approaches. 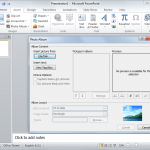 First, you can export the image as JPG and then import images in PowerPoint slideshow. 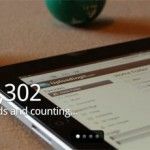 Or you can just drag and drop the images into your PowerPoint canvas.